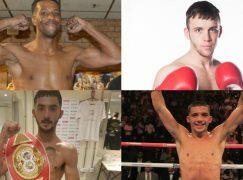 Newport’s Sean McGoldrick (4-0, 2KO) may be the smallest man on Saturday’s mammoth show at the Principality Stadium but the bantamweight plans to punch an imprint well above his weight into the memories of a huge crowd. The 26-year-old will take on Southampton’s aptly named Ricky Little (3-2-1, 1KO) over four rounds in the second fight of the night, warming up to Anthony Joshua’s heavyweight unification of three world titles with Joseph Parker. McGoldrick, a 2010 Commonwealth Games gold medallist, hit the heights as an amateur and enjoyed seven years with Team GB. He’s simmered under the surface since turning professional a year ago and can sky rocket his profile with a positive performance on Sky Box Office. “There are so many people begging for the chance to be on this show. I really am grateful. It’s a big chance for me and hopefully I can add my little bit to it,” said the St Joseph’s Boxing Club member. “Everyone will be walking away talking about [Anthony] Joshua and the title fights but hopefully I’m included in those conversations and people’s minds as they walk away at the end. Handled by the increasingly influential Mack The Knife [MTK] Global, McGoldrick has been kept very busy and his next step after Little is already being planned. 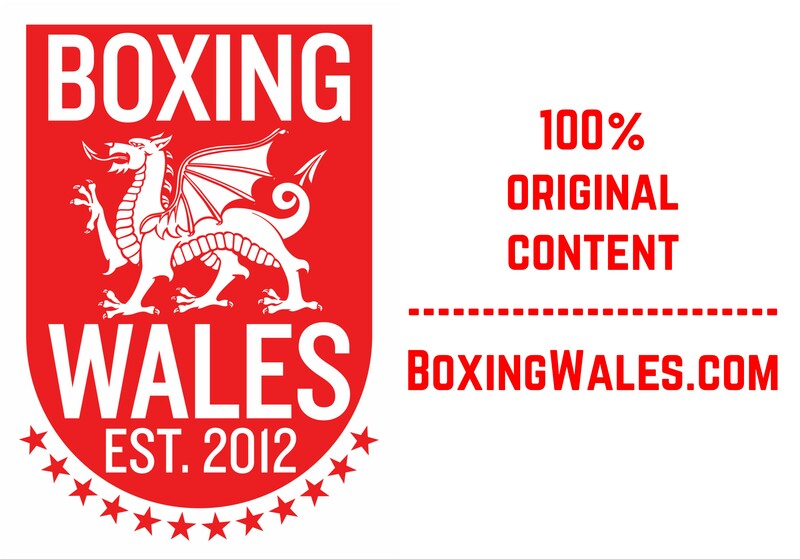 However, the management group’s first signed Welshman refuses to look too far into the future and will rely on his form to determine his path with promoters Matchroom Boxing. McGoldrick said: “It’s been a good year, I’ve had one or two learning fights and in the last two fights, I’ve started to really find myself. Hopefully I keep that going, keep developing and keep getting better. There’s still plenty to learn, improve on and stuff. I’ve got to keep my head down, working and hopefully I’ll get there. “Say my next fight, I box really well, I’m going to want to jump straight in. Say I don’t fight as well and don’t think I’m not ready for the next level, I’ll take things slower. I’m still taking it fight by fight in that respect. McGoldrick last fought on home soil in 2014 when he overcame Joshua John via Unanimous Decision in the final of the Welsh Senior Championships and his homecoming is long overdue. All observers, including himself, were surprised of McGoldrick’s omission from the undercard lineup for Anthony Joshua’s first visit to the Principality Stadium against Carlos Takam in October. 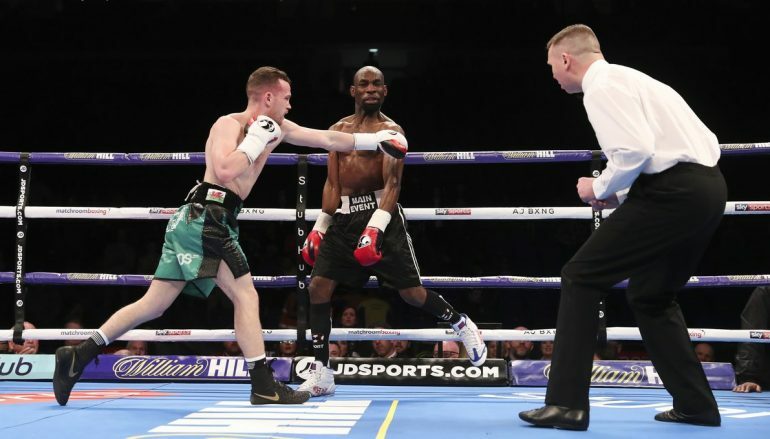 The box-puncher learned the harsh lesson that he had no automatic right to any opportunity, even if Eddie Hearn is hosting an event on McGoldrick’s doorstep. 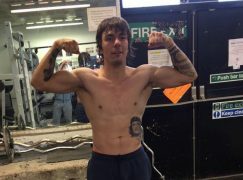 It’s not the only eye opener he has experienced and the other major learning experience came in a scrappy six round decision against Ricky Starkey in his second paid outing. Reflecting on the occasion, McGoldrick said: “I wasn’t happy with the way I boxed, I wasn’t happy with my preparation and I wasn’t happy with a lot of things. Only small things but all those one percent things, any boxer would tell you, makes a big difference. “I changed a lot of stuff after that. I’m always dedicated and putting in 10 out of 10 but it was small adjustments across the whole board. There were so many negatives and I was really disappointed after that, so I sat down and made clear what I needed to do. It was all down to myself. It’s a valuable lesson I’m already grateful for it. IMAGE BY LAWRENCE LUSTIG/MATCHROOM BOXING.